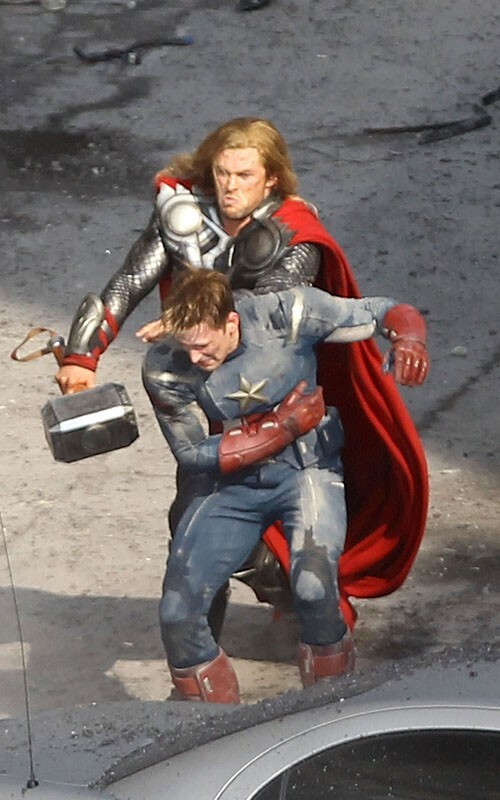 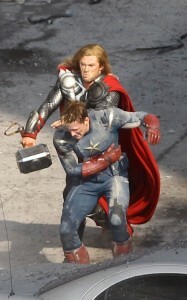 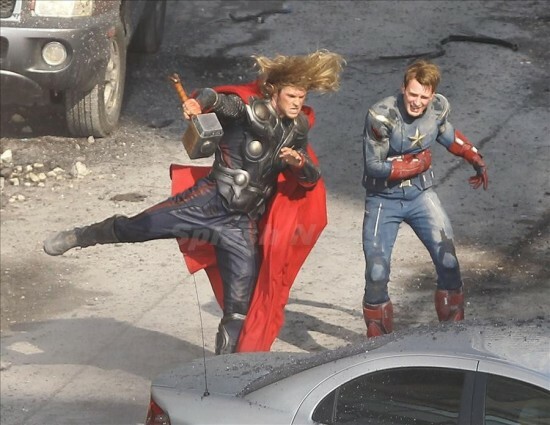 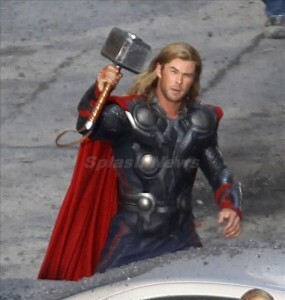 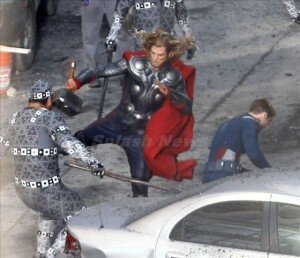 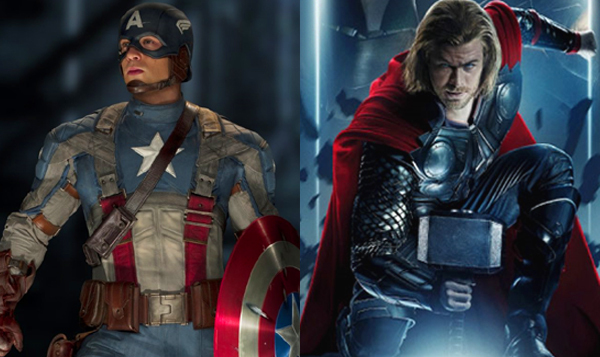 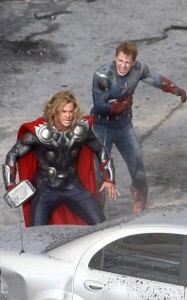 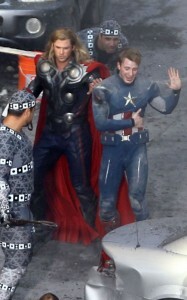 Following up on my earlier post from this morning showing Thor and Captain America fighting on the set of THE AVENGERS, check out this video posted today from the set in Cleveland, and see the heroes in action! Also, SplashNewsOnline has posted some great photos of the scene , including the ones you see below. 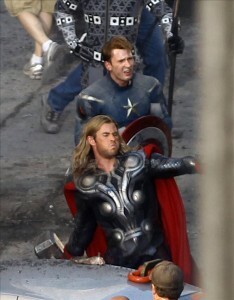 Head over to their site to check out the rest.